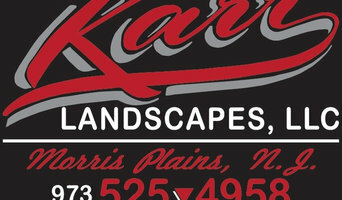 Karr Landscapes LLC is a family owned and operated landscaping company located in Morris Plains, NJ. We proudly serve all residential and commercial clients throughout Morris County. We are a full service landscape maintenance, design, build and snow removal company. Lliguin Landscaping Service Professionals. We are a family owned and operated Litchfield County,Hartford County lawn care company What this means is that you will be dealing and speaking directly with an owner of the business when you call Lliguin Landscaping & Lawn Maintenance company. If you call, we will answer, or do our best to return your call as soon as possible. Our clients have a direct line to an owner at all times so any questions that may arise will be gladly answered by an owner of the business. We offer superior customer service, we want you to be pleased with your lawn service and we want you have the best lawn possible. We are experienced and we care about all of our customers' lawns. Lliguin Landscaping & lawn Care has over 10 years in the industry. Lawn companies come and go all the time, but we are here to stay. We continue to build our business by offering great value to our customers. We offer professional lawn care and landscaping services at affordable prices. Our friendly owners and staff are always happy to talk about your lawn, and provide cohesive solutions to any of your lawn maintenance and landscaping needs. We are fully licensed insured. We always stress safety with our employees and we have never had a claim on our insurance, but we carry both general liability and workman's comp insurance for your protection. This means if we happen to damage your property or someone injures themselves you will not not liable for any damages. Many lawn services do not carry these insurances and they put their customers at risk, but we want our customers to feel comfortable while we service your property. At Kiel's Tree Care, our philosophy is to do exceptional work for a fair price. Do it right the first time; structurally, aesthetically and in a timely manner. We believe it is our job to guide our customers and help them to make the right choices to meet their needs and budget. We want to be the answer to the problem, not part of the problem. Our experience in tree service spans over 10 years. Doing quality work puts a smile on our customers faces for many years to come and is our best advertisement. Fully insured. Give us a call for a free estimate. Brady Landscaping is a full service company providing all elements of landscape design, installation and maintenance. A Family owned and operated business dedicated to providing the highest quality service to its residential and commercial clients in Northern New Jersey. Service is always professional, friendly and customer-oriented. Committed to Excellence The Cleanout Crew LLC. is a diversified landscape construction & demolition services business, with multiple divisions has been demolishing , home building and creating outdoor living spaces for homes and business in New Jersey and surrounding areas since 2004. We have developed a reputation for quality work, business integrity, strong relationship and long-term repeat business. The dedicated employees at The Cleanout Crew LLC. bring their talent, expertise and commitment to work everyday to get your job done. We have demonstrated experience in residential and commercial projects. Our reputation is built on attention to detail, quality and timely performance. You deserve a lawn you can be proud of. If a pesky tree stump is getting in the way of that, call the professionals at 4 Seasons, and we'll get on the job right away. Gonzalez Landscapes NY is a family-owned premier landscape and hardscape company. Gonzalez Landscapes NY began with a few mowers, one pickup truck, and a man determined to create a legacy. Over time, we have grown into an established Dutchess County company through the unwavering passion of the Gonzalez family and their employees. We provide full-service, year-round care of commercial properties, and a full menu of residential property services. We treat every job as if it were our own property, attending to every detail and ensuring that every service is done with integrity. Our finished products are not only beautiful, but they are also long-lasting and durable because we use premium products and up-to-date techniques. We take pride in our ability to produce exceptional work as well as sustain long and continuous relationships with our clients. Most of those clients are lifetime customers, meaning that they call us again and again when they wish to have additional services done. We are most proud of this aspect of our reputation because it signifies our dedication to excellence, both in performance and in customer relations. At Gonzalez Landscapes, we look forward to earning your trust. We know the value of hard work, and we will prove it to you. 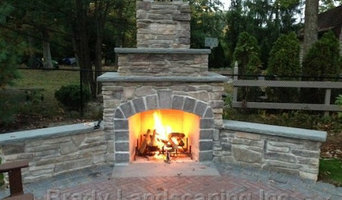 Kindred Property Care LLC is the Northwest Corner and surrounding area’s premiere landscaping and hardscaping company. Located in Sharon, CT, Kindred Property Care LLC is licensed and fully insured. 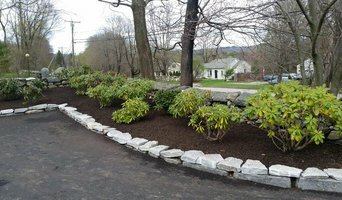 We provide a vast variety of professional landscaping, hardscaping, and excavating services to clients throughout Connecticut's Northwest Corner and New York's Duchess County. From rustic stone walls to custom designed private outdoor living spaces our experienced team of landscapers specialize in professional, low-maintenance landscape design, & hardscape construction. Our fine outdoor living features will enhance the beauty of your home, increase property value, and create the "WOW" factor your neighbors will envy. A first and second generation company, Lakeland Landscaping has been serving Morris and the surrounding counties since 1975. Our Commitment to excellence in our work ethic and reliability has attracted a very serious and knowledgeable clientele. From Concept to Completion, creative designers work hand-in-hand with our clients, meeting their needs and requests. 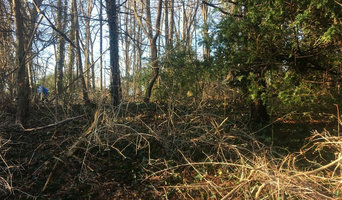 Working closely with the planting division hand picking selective plant materials to suit particular environments ranging from specialty areas, i.e. Perennial Gardens, English Formal Gardens and more with a wide range of available materials. From management to our work crews, neatness and professionalism are essential. Please call us today to set up a consultation. Mountain Top Landscaping and Kevin's Lawn Service have merged and will be operating under J&M Outdoor Enterprises and trading as Kevin's Lawn Service and Mountain Top Landscaping. The combination of two of the best landscaping teams in the area means better service for both companies’ customers, while allowing for future potential growth. Mountain Top primarily focused more on the commercial market and hardscapes, while Kevin's Lawn Service primarily worked on residential lawn maintenance. By merging these companies together, J&M Outdoor Enterprises now offers the complete package. When it comes to removing your trees or trimming them back so the limbs don't dangle over your home, we offer a wide range of services at competitive pricing. Whether you are dealing with storm damage or just need a stump grinded, we offer 24-hour emergency service to help get your property looking great.